During the week of March 21st, we viewed three television shows in class that display women with power. This power is seen in the physical sense while watching Bionic Woman and also power in the form over control in That Girl and The Mary Tyler Moore Show. Each show continues to show the audience that women can make it on their own and don’t need be restricted to lives inside the home. 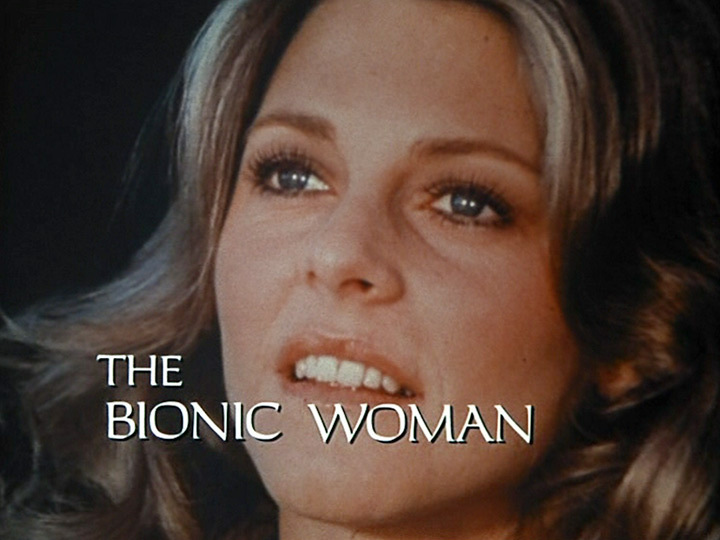 Bionic Woman was a spinoff of The Six Million Dollar Man that ran from 1976 to 1978 and follows basically the same mold as the original. Jaime, one of America’s top tennis players, is injured in a skydiving accident and her life is saved with the use of bionic implants. This gives Jaime supernatural powers like the ability to run at speeds of 60 miles per hour. It is also noted that Jaime has a hightened sense of hearing in her one ear. Over the course of the show, Jaime runs into many tricky situations where most women in previous shows would be considered “a damsel in distress” and in need of a man to save her. Jaime, however, uses her bionic abilities to escape these situations and shows the viewers that she does not need a man to come to her rescue when she runs into trouble. The overall message I found from watching the show and reading up on some other episodes storylines, is that women have the power and the ability to solve their own problems and they don’t need anyone to come to their rescue. This also follows along with the women’s liberation movement ideals discussed in Douglas’ book. That Girl aired from 1966 to 1971 and is a situation comedy starring Marlo Thomas. Ann Marie, the main character played by Thoma s, is an aspiring actress that decides to leave her parents home and move to New York City to pursue her dream. Ann Marie finds a decent apartment in the city and just as she is getting settled she finds her mother at her doorstep. As the episode progresses, viewers discover that it was merely a plot by her parents to spy on her to make sure she is doing fine on her own. Ann Marie somewhat resembles the daughter from the show The Goldbergs, in that she isn’t satisfied with the life as a homemaker. Ann Marie has a better outcome and proves that she has what it takes to make it on her own. 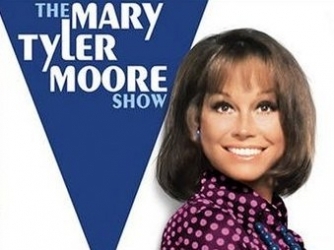 The Mary Tyler Moore Show builds off the foundation set by previous shows like That Girl and starts off with Mary Richards, the main character played by Mary Tyler Moore, moving into her new apartment in Minneapolis. Mary is a distinctly different character than other single women shown in television in that, she is out of her twenties and is not divorced and has no children. Mary, however, did have a relationship with a man that had just graduated medical school. Mary waited for her lover to get out of school so they could get married and have a family, only to discover that he wants to wait a while and is in no hurry to be married; which causes Mary to break off the engagement. This appears to be the sole reason for Mary’s fresh start in Minneapolis. Mary goes into a job interview as a secretary at a local television station and ends up being an associate producer, which is made into a joke because the job pays less, but the status of the position speaks volumes to the viewers. Mary, like Ann Marie, proves that she has what it takes to make it on her own. According to Douglas’ book, “pop culture versions of liberated women were meant, it seems in retrospect, to be a compromise between the demands of feminists and the resistance of antifeminists.” This is clearly shown in That Girl and The Mary Tyler Moore Show, but appears to be less visible in Bionic Woman. This can be noted with the situation in That Girl where Ann Marie’s mother comes to live with her. This can be interpreted as a compromise between feminists and anti-feminists because while Ann Marie is on her own, she still has her mother living with her. Although the mother moves out, the situation’s presence in the show has a distinct meaning. Mary Richards also has a situation placed solely for compromise between feminists and anti-feminists because of her relationship. The fact that she was engaged and had plans of starting a family and being the typical housewife can be interpreted as a compromise between the two activist groups. Jaime, however, does not appear to show the same characteristics as the two characters forementioned. Jaime is a high-caliber athlete living her dream as an elite tennis player. It is mentioned that Steve Austin, the six million dollar man, is her lover but there is no mention of Jaime giving up tennis for being a housewife.